The young & dynamic, Dr. Karan Goel is a sterling example of entrepreneurial determination and self-belief being a rare combination of a magnificent mind with expertise accomplishments. During his graduation he explored immensely in Direct Selling Industry with diligent determination for a span of 5 years globally from USA to Europe to become able to render the most efficient, competent & prospective Direct Selling Business Model for Indian people.He persisted for a dream company like no other on earth: a company that metamorphoses lives through its amazing products and ever growing business opportunities. After graduating from San Francisco State University, USA, he joined the Aarhus School of Business, Denmark to explore diverse academic pursuits. After a year, he joined a company called Droisys Inc. in San Francisco as a management analyst to Pharma & Biotech companies. During the same time, he worked as a local affiliate for an NGO named Delta Sigma PI in USA to convey a message that a person can do everything if he/she gets right training, education & accommodation. Dr. Goel moved back to India and joined his family business and later he started a healthcare business by the name “Keva Industries” with a strong vision of providing people with financial freedom & healthy life. A multi-faceted personality, Dr. Goel is a connoisseur, who takes interest in different activities that enrich and enliven life. Dr. Goel was recently conferred the ‘Distinguished Services Award’ that was bestowed upon him By Her Excellency Ms Pratibha Devisingh Patil, Hon. 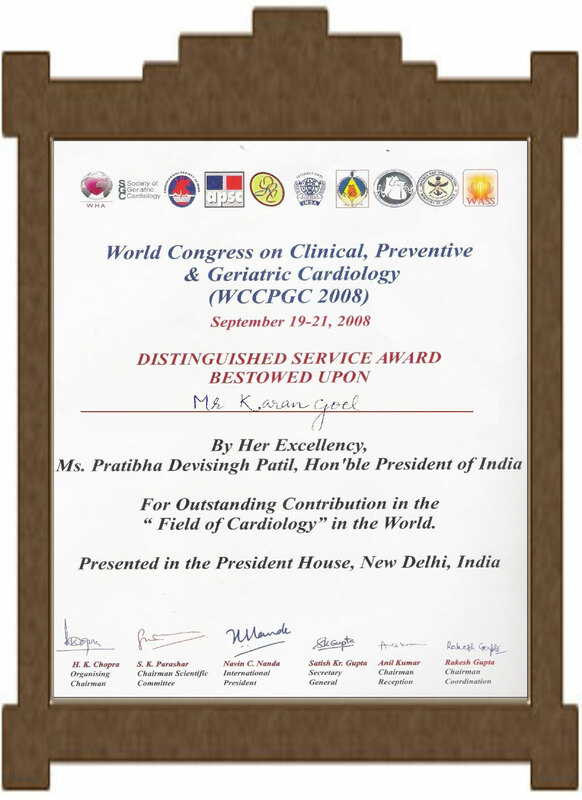 Ex- President of India, in President House, for outstanding contribution in the field of Cardiology. 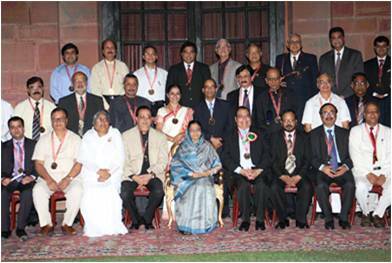 On the occasion of 57th National seminar The Indian Economic Development & Research Association presented ‘Bhartiya Udyog Ratan Award’ to Dr. Goel for “Outstanding Contributions to Nation Building & World Peace” & in September, 2010 presented ‘Indian Achievers Award for Healthcare Leadership’ for “National Economic Development & Social Responsibilities”.